Richard Nelson is a color-guru who lives and works on the slopes of Haleakala on the island of Maui. 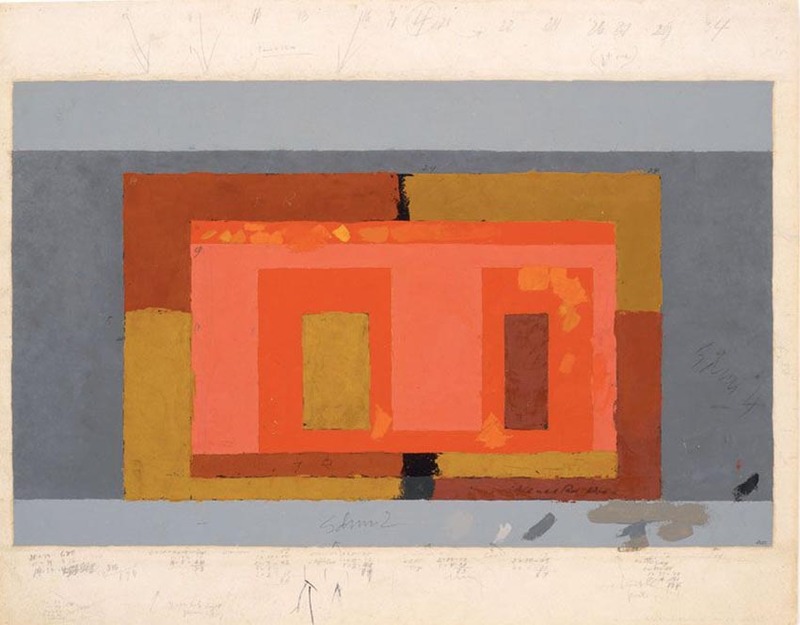 The life-long work of Josef Albers is never very far from his thoughts. Albers (1888-1976) painted and taught at the Bauhaus and the Yale School of Design and pioneered color-theory. His observations can be found in his extensive Interaction of Color (1963). For creative eyes with a desire to understand what’s going on and for painters who would extract the full potential from color, this material is highly valuable. It also takes a bit of study and for some it’s difficult to grasp. What is meant by the interaction of color? What is meant by hue, value and chroma? What is meant by tint, tone and shade? Can three colors be made to look like four? Can three colors be made to look like two? What do you mean by ugly colors? What do you mean by beautiful colors? Can you make a halation or a vanishing boundary? How many colors or values are required to create a halation? Why? What’s the relationship? In the field of color we realize that most of us can’t rely on intuition alone.